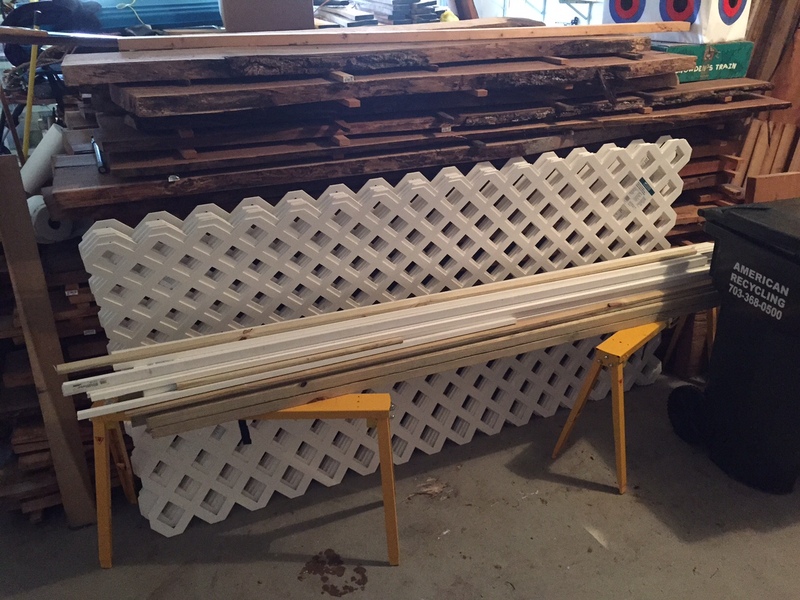 The boards for the replacement door for my office have been out in the garage, in a drying pile, for the past couple years, so they are ready. However, in the garage are all the other things that show up for two (ok, two plus) years, and that all had to be gone through and moved and reorganized and… you get the idea. 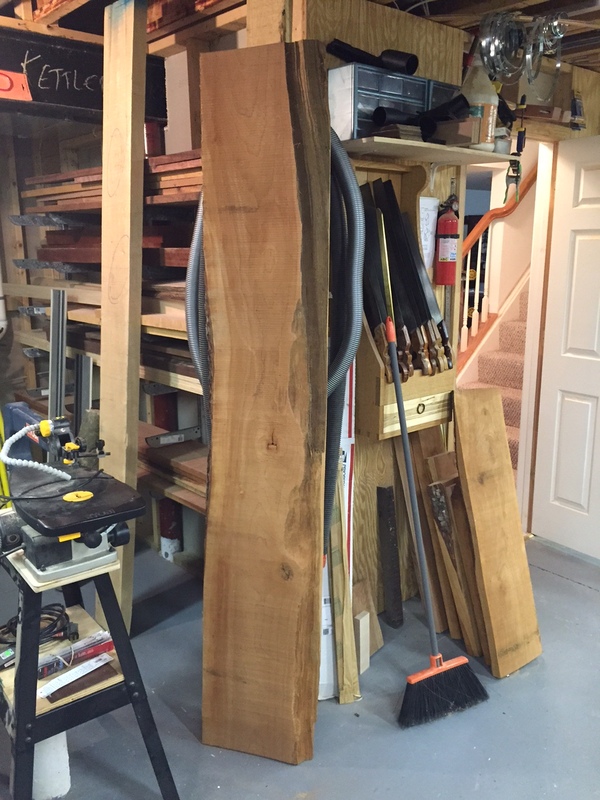 Once I got the pile exposed, I also realized that the cherry I am using was about 9 rows down, below the 8/4 walnut I also had acquired, but is not yet dry. And as a result I had to recruit some assistance from my wife and daughter. Thank goodness they are patient with me! The wood was moved from the pile in the garage, and the pile re-stacked, and the garage stuff replaced, but it tool TWO WEEKENDS to get through just that part. Good grief! And of course instead of rushing to work on the door, I had to do a bunch of other projects that showed up as a result of the garage cleanup that had occured. But last night, I finally got the 4 main long peices into the shop and cut them to length to use on the doors. I picked out the boards that would give me a starter piece of about 6″ wide, and 85″ long. I had to find boards that would let me get these parts from fairly straight grain, away from the center rings, and with no deep knots to have to work around. 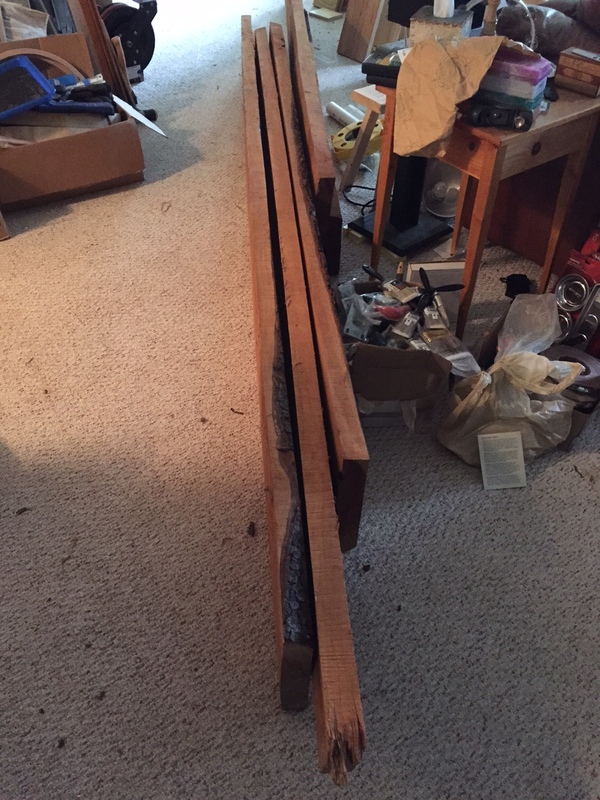 I wanted to make sure that the rails are not going to warp the door once it’s done and installed, which means I will cut and shape all the rail parts slowly, and let them set up for at least a week between shaping. Fingers are crossed! 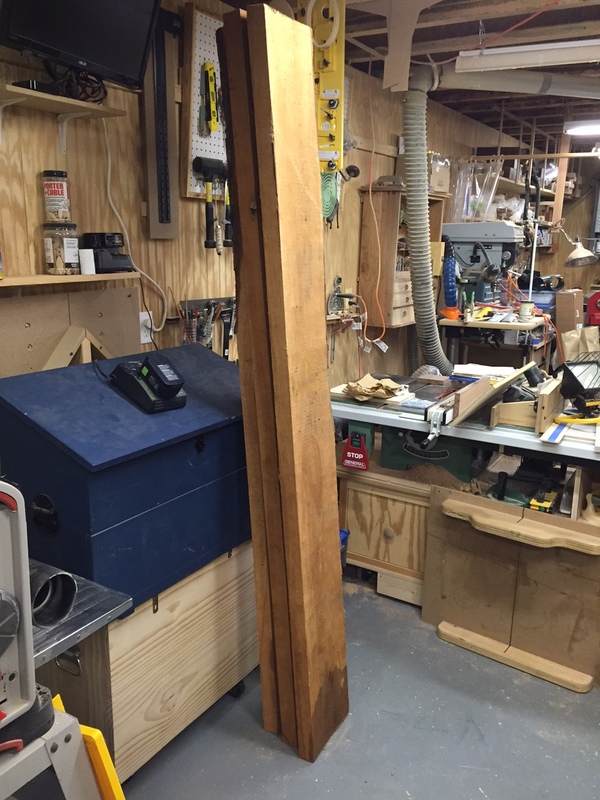 This entry was posted in Shop stuff on April 27, 2015 by bkbiggs. Looking forward to seeing your progress on this project.